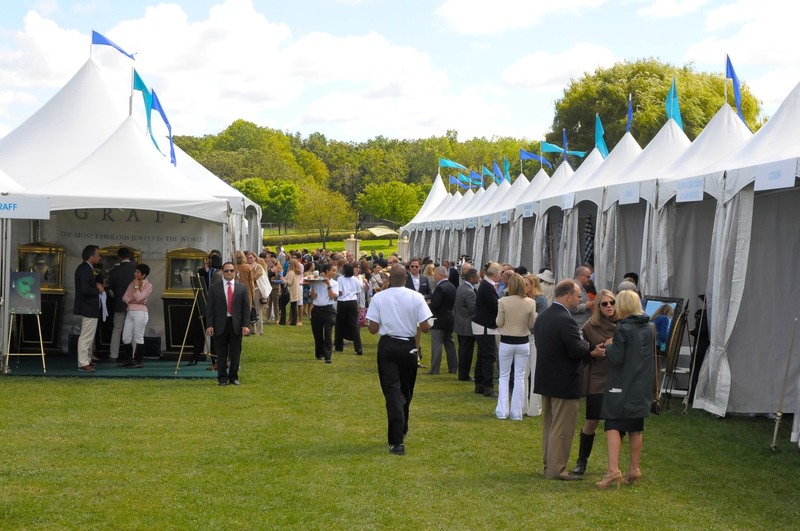 The event raised a record $1.4 million for charity in 2014, more than any other equestrian event in the Midwest. Bristol, WI – September 7, 2016 - This Saturday, September 10, 2016, marks the sixth Evergreen Invitational Grand Prix, presented by the Wood-Prince Family, which serves as one of the premier fundraising events for Northwestern Memorial Hospital. Founded by M.K. 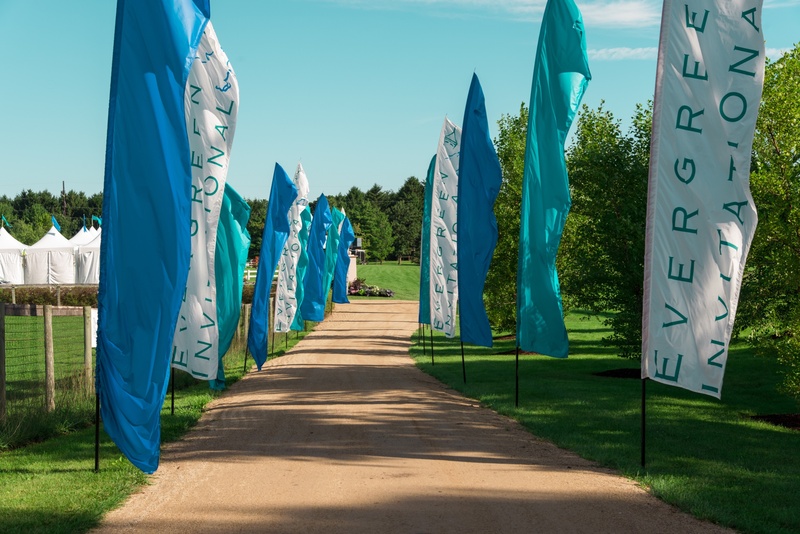 Pritzker and hosted in partnership with The Woman’s Board of Northwestern Memorial Hospital, the Evergreen Invitational has raised over $5 million to date for historically underfunded programs and research for women’s health services throughout the Chicago area. 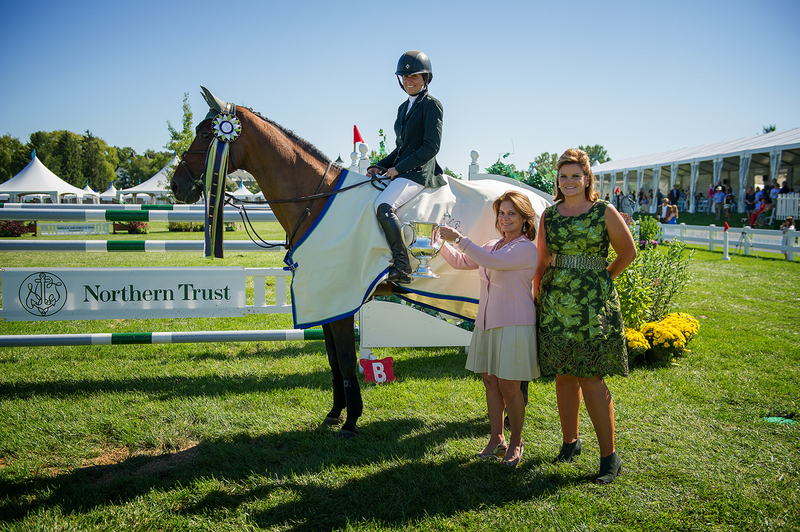 The event raised a record $1.4 million for charity in 2014, more than any other equestrian event in the Midwest. The top fundraising competition features the $25,000 Show Jumping Hall of Fame Junior/Amateur Owner Classic sponsored by the Kovas Family at 10:30 am and the $75,000 Evergreen Invitational Grand Prix at 1:00 pm, while ticketed guests enjoy a gourmet bunch, Mimosa bar and Bloody Mary bar. 2014 Evergreen Invitational Grand Prix winner Kaitlin Campbell and Rocky W.
The prestigious Grand Prix has attracted some of the top United States Olympic Team riders such as current Rio Olympics Silver Medalists Kent Farrington and Beezie Madden. Riders compete for the coveted $75,000 in prize money as they jump around a beautifully designed course on one of the few grass rings left in the country. The gorgeous event is one of the most sought after social tickets in the Chicago area. 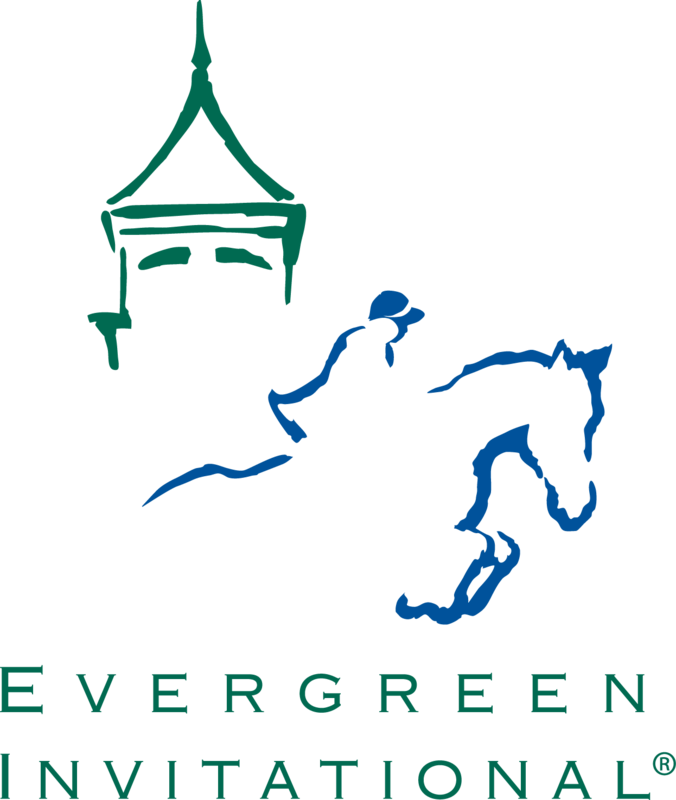 Riders rave about the hospitality of the Evergreen Invitational. 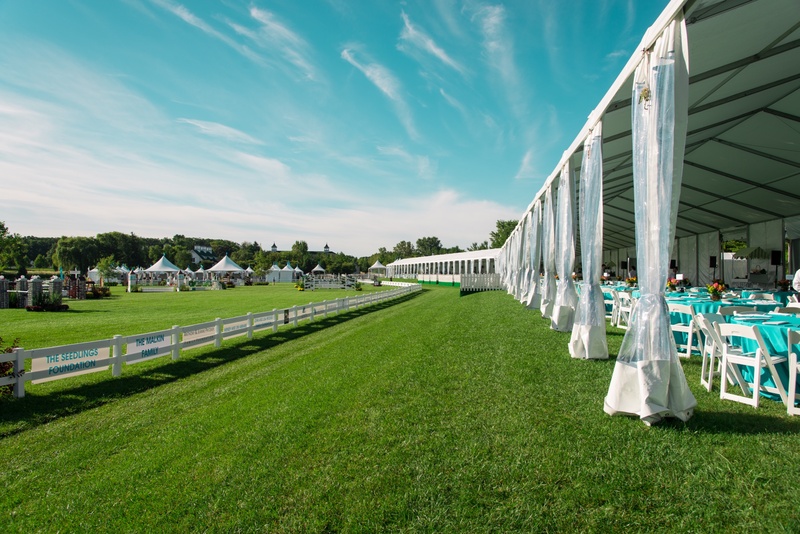 There is a complimentary rider’s tent that provides breakfast, lunch and snacks throughout the day. On Friday night, exhibitors are treated to an appreciation party with great food and cocktails. Stabling is excellent and the stalls are all set and ready when the horses arrive. VIP ticket holders enjoy the high-end Promenade of Shops. 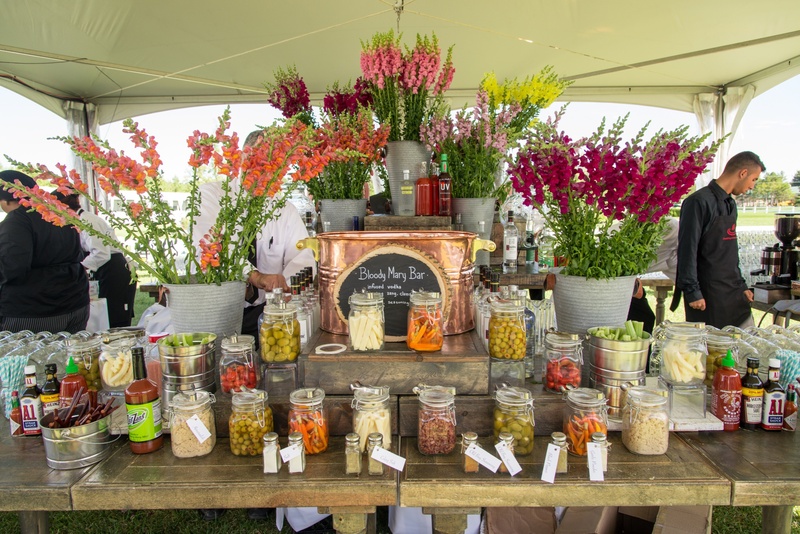 Spectators enjoy a close-up view of the event and a sophisticated brunch including this Bloody Mary bar..